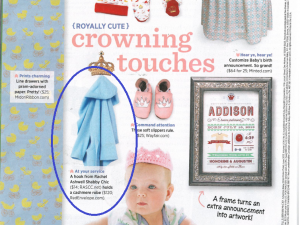 Red Envelope featured in American Baby Magazine! Congratulations to our Client, RedEnvelope,Â for their recent feature in American Baby Magazine! 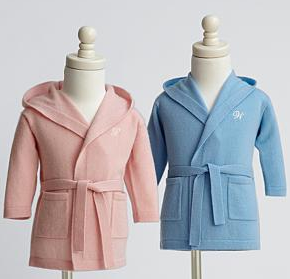 Wrap baby in the lap of luxury and make bath time, snuggle time or just plain lounging around the house time a sensory pleasurable pursuit. Featuring 100% cashmere, this robe ties at the waist and features long sleeves making it the perfect attire for relaxing away the day. Exclusively from RedEnvelope. Launched in 1999, RedEnvelope‘s mission remains to make gift giving for every occasion easy and fun.Â From tokens of gratitude to expressions of love, as your partner in giving, RedEnvelope offers a unique and wide-ranging collection of thoughtful gifts for every occasion and everyone on your list â€” around the clock, all year round. Check them out at www.redenvelope.com!